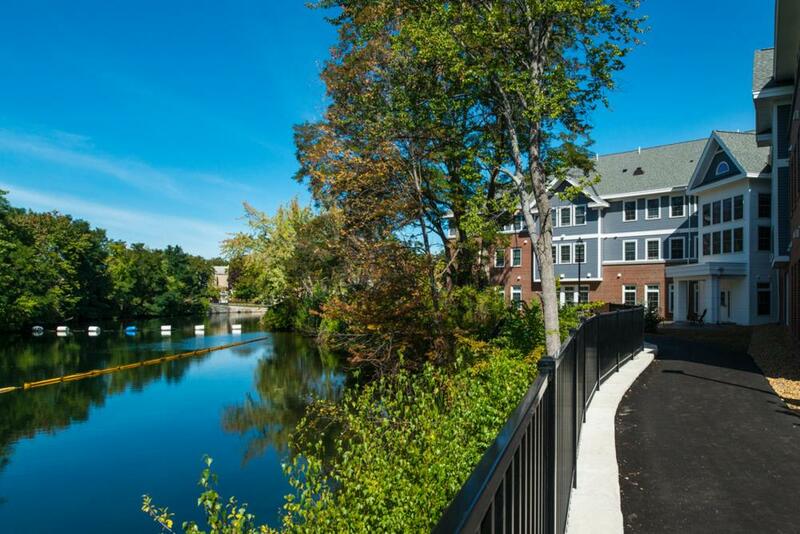 Congratulations to the Lakes Region Community Land Trust for the successful completion of the new River's Edge Apartments in downtown Laconia. The Land Trust recently celebrated a Grand Opening in August 2016 with a large group of attendees that included many project sponsors, future residents, city officials, civic leaders and members of the design and construction teams. This was a redevelopment project converting an abandoned warehouse site on Union Avenue into a new 3-story apartment building that contains 32 fully accessible apartments along with a day care facility. 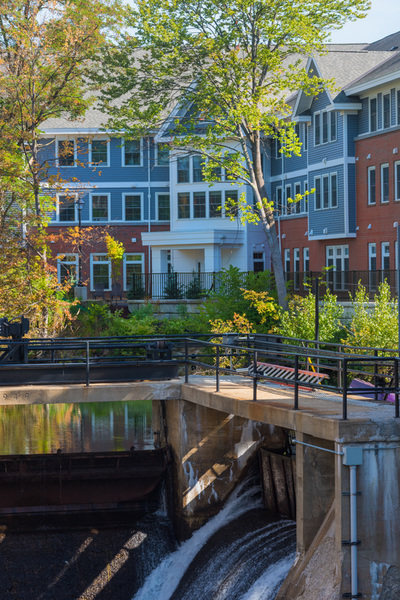 The building sits right on the bank of the Winnipesaukee River and is located directly across from the historic City Hall. The design effort incorporated a river walk along the entire frontage of the property as well as a streetscape beautification along Union Avenue. Northpoint was thrilled to be a part of this project from its early days on the conceptual drawing board and right through construciton to the recent grand opening. We applaud the Land Trust for perservering on this project which seemed to have numerous hurdles over the many years it took to come to fruition. It will be a wonderful addition to the downtown community in Laconia and will set an exemplary standard for urban housing in the region.